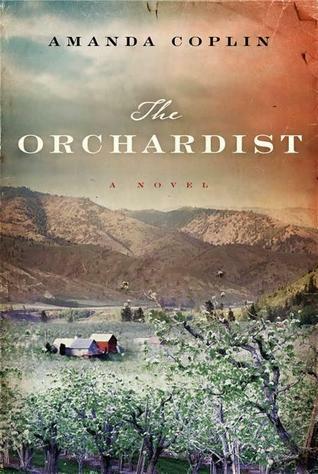 The Orchardist by Amanda Coplin marks the debut of a talented new American writer. A lovely review at Chalk the Sun inspired me to read the novel, and I encourage you to read it as well. Here, I want to raise a question that came from reading Coplin’s book on the heels of Jane Gardam’s Crusoe’s Daughter, a question that, frankly, I’m struggling to frame. Midway through The Orchardist I paused and asked myself, why am I reading this? Is it believable? (I had a similar experience reading Gardam’s novel.) Coplin’s spare, post-modern prose was controlled and the voice unique. The setting—the dry eastern slopes of the Cascade Mountains at the turn of the 20th Century—was also unique and evocatively rendered. The characters possessed a timeless, mythic quality as if carved from stone, and the story itself, as one book blurb described it, felt as if it were the subject of an old folksong. But for me the book was flawed; I couldn’t figure out why, but I wasn’t buying it. So, my question may be this: What is gained by imagining the past if we reshape it to our own vision? Or perhaps this: If a story is based on an imaginary past, can it succeed as serious literature? Both Coplin and Gardam invent a past shaped more by their own imaginations, by their own emotions toward the curious worlds they conjure, than by the historical record. Though Gardam does not entirely ignore a century’s milestones, both writers fail to persuade me that their inventions are anything more than romantic hallucinations. One can argue that all history is a re-imagining, a re-visioning of the past. But history relies on testimony—new facts, or overlooked facts, but always something factual from the record. Fiction needs no facts, and may even be harmed by them. But if a writer places a story within the historical context, can the temporal facts, any more than the laws of physics, be disregarded? When a writer imagines a story in turn-of-the-century Washington State that behaves like a gothic romance in the vein of Wuthering Heights, as Amanda Coplin does, am I, the reader, to accept this as a representation of the truth, or even a poetic truth? In a Seattle Times interview, Coplin acknowledges that she wholly invented the heinous crime that launches her story. Her main character, Talmadge, the orchardist, seems ageless and monolithic in his solitude and silence and fixed compassion—archetypal perhaps, yet hardly historically authentic. Coplin’s other characters, the feral sisters Jane and Della for example, seem no more real except in the raw emotions that propel them. And the villain, described in the New York Times as “an evildoer of spaghetti-western proportions,” suffers from a similar lack of verisimilitude. Even the land Coplin so evocatively conjures—the canyon orchards and pine forests—assumes a virtual reality. Like the heath in Hardy’s novels or Bronte’s moors, the terrain becomes a stage set, despite the inclusion of real place names. As I read on I kept asking myself, what am I to glean from this well-written novel? Am I to revise my historical perspective of the western frontier? Coplin’s post-modern style might imply that. Am I to view her characters as American archetypes? Their unchanging, stone-like nature might imply that as well, and the orchard setting seems primed for a parable or allegory. But, if so, about what? As you can see, I had trouble putting my finger on the problem I had with a book I nonetheless enjoyed reading. So I compared it to other books. Cormac McCarthy’s Blood Meridian came to mind. Written in an equally spare, post-modern style, it is equally evocative of the western terrain, with equally fixed, archetypal characters. And if ever there was a book conjured from an author’s imagination, Blood Meridian is it. But the truth coursing through Blood Meridian comes from a historical fact—the existence of the scalp-hunting Glanton gang—and from the thematic postulate asserted in its epigraph (taken from a real newspaper article): that killing is the natural state of man. Is Coplin arguing that mute nurturing is our natural state? Without some historical basis, I can’t, I don’t buy it. The story rings false, fanciful, and the inherent tragedy seems contrived—the stuff of gothic romance. Coplin mentions the influence of the great Australian writer Patrick White, in particular his novel Voss. I wish she had studied White’s even better novel, The Tree of Man. White conveys the same physical and emotional isolation she does but he avoids imagined evil and its sensational consequences; his book remains grounded in the lyrical truth of historical experience and expands because of it. Marcel Proust believed a single book does not allow us to know an author. Only through multiple books can we distinguish what is book-specific from what is distinctive about the author. Curiously, McCarthy’s first novel, The Orchard Keeper, suffers from the same post-modern gothic excess as The Orchardist. Let us look forward to what Amanda Coplin writes next in order to see what is truly distinctive about her vision. I believe she is capable of work as exciting and as extraordinary as McCarthy’s or White’s.